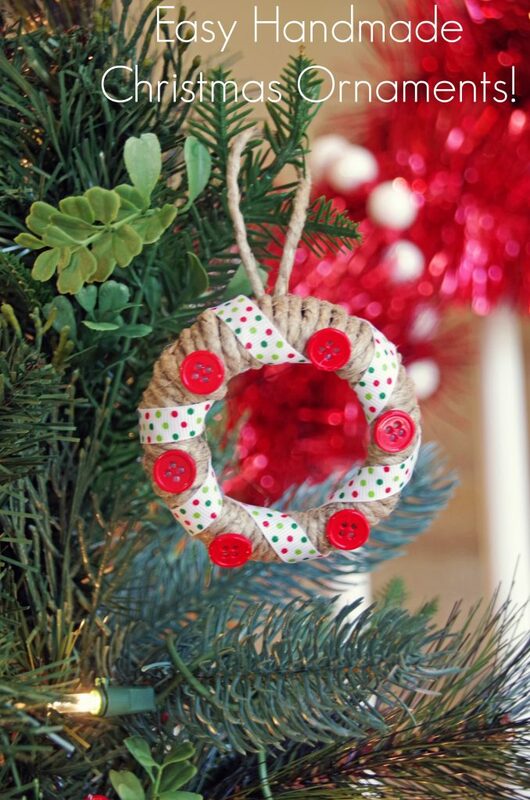 Home » Crafts and DIY » Make these Easy Handmade Christmas Ornaments with Mason Jar Lids! I have some friends whose Christmas trees look like they belong in a magazine. If that’s your thing, more power to you…however I prefer my messy, cluttered tree filled with macaroni angles and children’s handprint ornaments! Over the years, we have made a ton of easy handmade Christmas ornaments. I have unique ornaments on my tree from their days in preschool. I even have Christmas ornaments on there from when *I* was a kid! Since my kids aren’t getting too crafty anymore now that they are teens, I decided to make a few tree memories of my own this year. Maybe they will hang on my kid’s Christmas trees one day when they move out on their own. Once you decorate your tree with a few handmade ornaments, put on a Christmas movie and dive into the homemade caramel. Tis the season to make memories and bask in the beauty of the season! Okay, this is a very simple Christmas craft and these ornaments only took me about 15 minutes to make two of them. You can use old mason jars that you happen to have laying around or buy stainless steel rings for canning jars on Amazon. 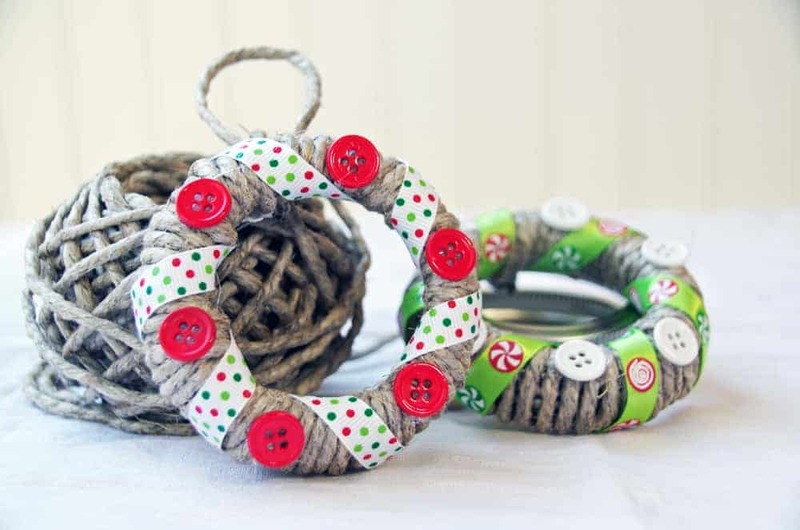 Other than that, you will need some heavyweight jute twine and some Christmas ribbon and buttons. And my favorite crafting tool, the hot glue gun. Buy a good one, it is worth every penny! You will need about 4 feet of twine per ring. Cut off the needed amount. Hot glue one end to a ring. Start threading the jute twine around the ring, making sure it is snug. Continue until the entire ring is wrapped. Hot glue the end so that it is relatively hidden and trim off the remaining twine. You will need about 12 to 18 inches of ribbon per ornament. Hot glue one end, wrap, hot glue again when it is wrapped to your satisfaction. Trim off the remaining ribbon. Hot glue on buttons in the color of your choice. Trim a 4 inch or so piece of twine off the roll. 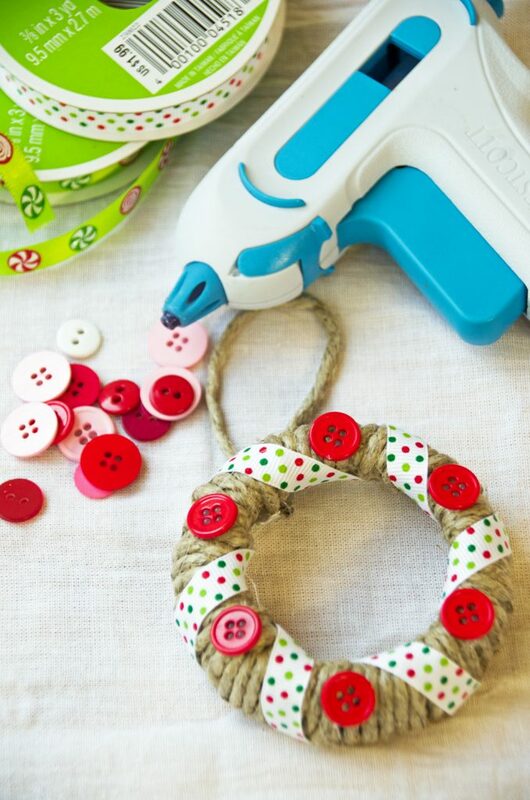 Hot glue the ends to the ornament so that it makes a loop to hang on the tree. That’s it! Enjoy your beautiful creation! 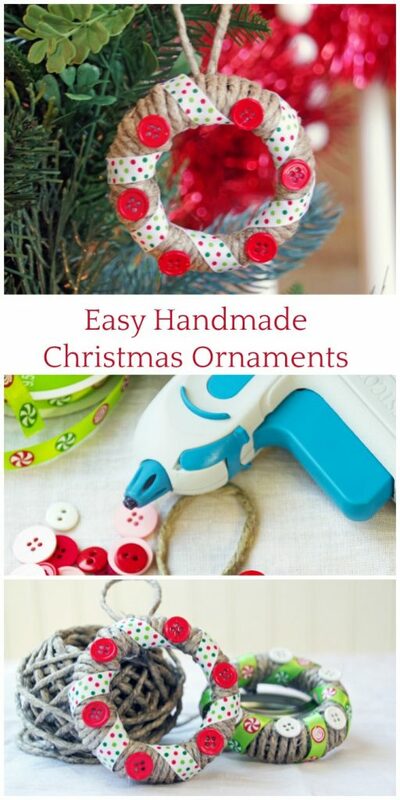 Making easy handmade Christmas ornaments can be a lot of fun. 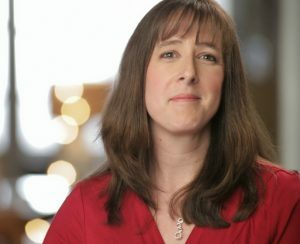 It can also be a great frugal Christmas plan to keep your holidays within budget. If you want to add a homemade touch to your home this holiday season, consider checking out my Christmas candle crafts and make some homemade Christmas cookies.